When you visit Top 10 Self-Help Books you will find the most-requested titles at The Guide to Self-Help Books! These books represent much of the best of modern Self-Help literature. Americans have always valued self-reliance and self-improvement. The Top 10 Self Help Books is what we are reading about! This is a Short List of Best Self Help Books most often recommended by David Yarian Ph.D. in his practice as a psychologist. There are recommended self-help books in all 3 categories: Mental Health Concerns, Challenges in Living, and Personal Growth. This is not an exhaustive list. Please consult The Directory of Self Help Books for more options. 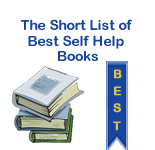 Use this time-saving, annotated guide to find the very best in Self Help books. We've recommended the most useful books to help you solve thorny problems, build better relationships, navigate difficult life passages, and make the most of your life. You will find self help books on many topics including Success, Self-Esteem, and Stress Management. 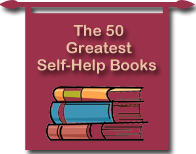 The Guide to Self Help Books contains proven manuals and books, inspiring self-improvement books, moving real-life memoirs, and prize-winning novels -- all chosen for their expert advice and practical wisdom. I believe these are the best of the best in self-help books. Are ebook readers the future of reading? And is there one in your future? We're seeing them everywhere - in coffee shops, on campus, in the airport, even in the library! Sure, they look cool, but are they more than just the latest trendy must-have item? Read about the new Kindle Paperwhite!